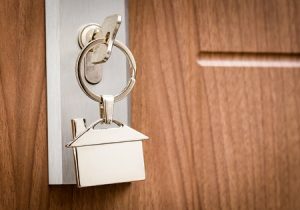 Concerning home security, there are several well-known methods and tips to keep your home safe. Using a home security system, locking doors and having a friend collect your mail when you are on vacation are all well known and effective security tips. There are other lesser known methods that also increase the safety of your home. Four of these tips are as follows. Seclude Keypads: keypads add an extra layer of security to a home, but this only true if the code remains secret. Many thieves will watch a property before a break-in to gather information about owner habits and daily activities. A keypad that’s out in the open means that a thief may be able to figure out the code through watching from a distance or through a window. Trim Trees And Bushes: homes with unkempt landscaping are often targets for break-ins and theft. Part of this is that they allow places for a thief to hide when entering and exiting a home. Being able to escape detection makes these homes an inviting target for break-ins. By keeping trees and bushes trimmed this eliminates places for a burglar to hide or conceal their activity. Hide Valuables In Overlooked Rooms: most thieves focus on two key areas when robbing a home–the bedrooms and living rooms. These rooms are targeted because they often have valuables either out in plain sight or stored there. An easy way to throw off a burglar is to hide valuables in unlikely places or overlooked rooms (such as bathrooms) which stereotypically lack valuables. Schedule Smart Lights And Sprinklers: a majority of home theft occurs when homeowners are out of town, on vacation, or simply not home. Empty homes are simply easier targets for criminals. The advice of leaving your lights on does have some merit as it makes it look like your home, however, lights that never turn off soon ruin the illusion. Scheduled smart lights that turn on and off on a timer mimic normal usage patterns as do scheduled sprinkler systems. To an outside observer, smart systems are indistinguishable from the normal daily activity. There are a lot of different ways to keep yourself safe. When looking for an experienced and professional home security company in the greater Atlanta area you should consider Actio Security. A family-owned business since 1969 they have the knowledge to your home, family, and possessions safe from theft. Contact them today to learn more.